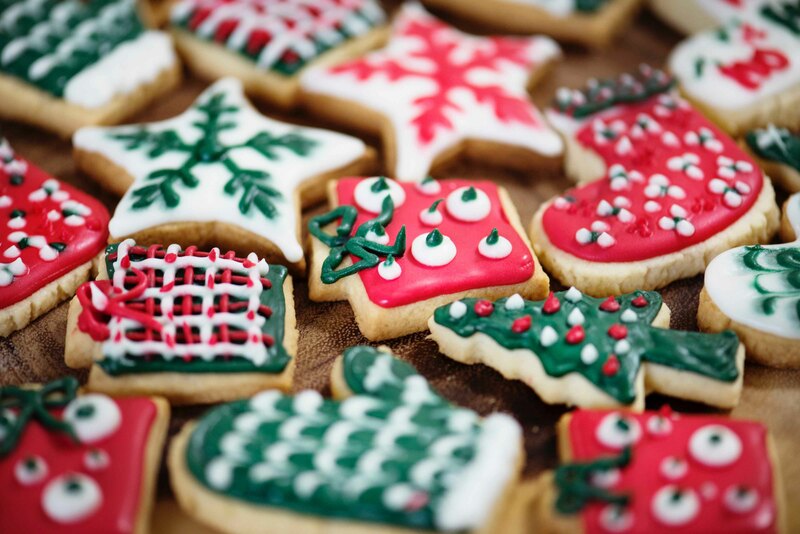 Christmas Cookies are basically the point of the holiday. So whether you’re making these for a party, Santa, or jus a cozy night in by the fireplace, there’s always a reason to whip up a batch or two. Heat oven to 350 degrees. Line a cookie sheet with parchment cooking paper. Set aside. In a large bowl, combine the butter and sugar. Mix well. Add the eggs and beat by hand until well combined. Bake for 10-15 minutes or until cookies are browned around the edges. Transfer to a wire rack to cool. Store in an airtight container. Cut in Crisco with 2 knives or pastry blender until pieces are about the size of peas. Can be stored for weeks without refrigeration. Blend well. Dough is soft. Roll about 1/8″ thick on floured board or pastry cloth. Cut with holiday cookie cutters. Decorate with colored sugared decors like sprinkles, candy sugar balls, and more before baking or frost after baking. Bake on ungreased cookie sheet at 375. 8-10 minutes. Blend well and mold into 1 inch balls. Can be shaped around a Hershey Kiss. Bake on ungreased cookie sheet at 375 degrees for 12-15 minutes. Roll in powdered sugar while hot.